I know, I know, natural fermentation is a dicey proposition, and unpredictable at best. But this recipe is very simple, with Amazing results. The flavors are rich and complex, moving from residual maple sweetness to the sour tang of the apples. Appearance-wise, it’s a nice sort of rusty color, darker than normal cider on account of the maple. I’m amazed that this is something I made, as I think it could easily give a commercial cider a run for its money. Pour out two cups of the apple cider to make room for the syrup. 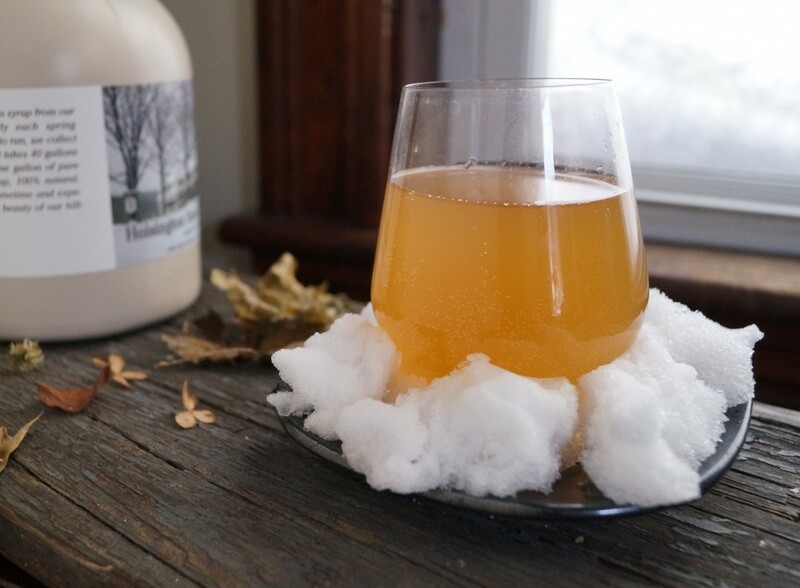 Combine the cider and maple syrup in a carboy, cap with an airlock, and allow to ferment naturally. It can help to gently warm the mixture so that the syrup combines with the cider, but I didn’t really have a problem with it, and periodically shook or swirled the jug to mix. When the airlock stops bubbling, and the hydrometer reading stops declining, rack into bottles and let age at least 1 month. You could probably prime it for some fizz, but for this round, I went with still. I am intrigued and very curious about your recipe.Actually Id love to taste it! I have 4 x 23 liter carboys finishing primary fermentation. Iast year I made a 23 liter batch of cider with 4kg of honey. Again using wyeast cider yeast, it fermented for 48 days straight…It was quite good and it had a lot of kick. I think it is known as cyser, finally I decided to distill the batch and it made a really great calvados. from what we can remember!